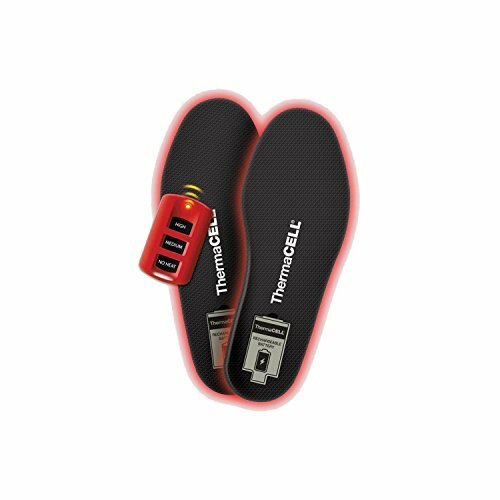 The ThermaCell Heated ProFlex Heated Insoles are a great product for hunting, fishing or anytime you need a little extra warmth. This new version of the popular heated insoles, the ProFlex Heated Insoles offers extended use and increased flexibility. The removable, rechargeable batteries can be changed fast while the insole remains in the boot or shoe. These water resistant insoles also feature more flexible materials for easier insertion into your boots. These insoles feature 3 heat settings, high heat (111 degrees F), medium heat (100 degrees F), and no heat.